Sony’s somewhat beleaguered handheld gaming system is getting one more shot at life despite lower than expected sales, and trailing drastically to Nintendo in the handheld market. The new price drop is effective immediately, and most major retailers are now selling the PSP Go at $199. Even with the PSP Go currently getting a lot of love from Sony, rumors of the PSP2 continue to circulate. 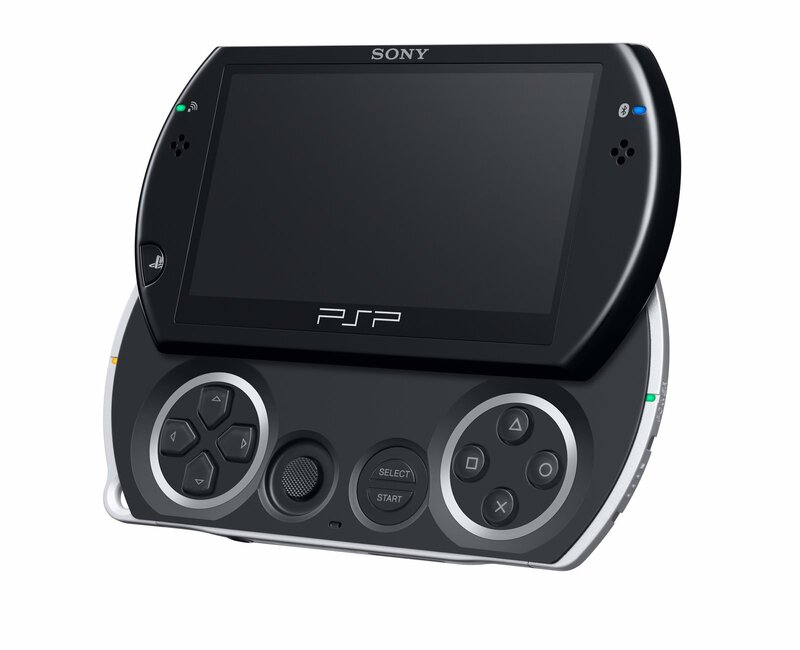 Originally many insiders were confident that Sony would publically debut the PSP2 at E3, but instead it surprised almost everyone by reiterating the company’s support for the handheld system which has been thoroughly dominated by the Nintendo DSi. Although the PSP has reportedly sold around 61 million units worldwide, it is nowhere near the Nintendo DSi’s staggering 140 million units– and now with Apple eyeing a bigger share of the gaming market with its iDevices, the future of the PSP Go seems limited. The price cut could help for the holiday season, but many are still waiting for news on the PSP2, which is rumored to be coming out sometime late next year. While Sony may not have debuted its next generation of handheld at E3, several sources claim that many of the top publishers and developers were shown specs for the new system behind closed doors, and within a few months after that, several of those developers received PSP2 units in house to begin developing titles for the launch of the new system. But for now, any and all news on the PSP2 is still rumor, as Sony is fairly consistent in refusing anything and everything that is not official. So will a price drop to $199 encourage you to buy the PSP Go, or is it too little too late? Nintendo 2DS XL vs. Nintendo 3DS XL: Which handheld reigns supreme? Nintendo Switch vs. Xbox One: Can the new hybrid best the established console? PlayStation 5 rumors have circulated for over a year, but there's still plenty we don't know. Here's everything you need to know about the PS5, including rumors about its release, specs, and games. While big budget games rely on practical innovation, indie games dive head first into new, unexplored territories. If the quirky and unusual appeal to you, take a look at our list of the best indie games on PS4. There have been reports that Joker in Super Smash Bros. Ultimate is causing Nintendo Switch units to freeze. Even with the glitch, players may still try him out, amid rumors that Persona 5 will soon arrive to the console. Mortal Kombat 11 introduces the Fatal Blow system, which gives players with low health the chance to shift a fight back in their favor. Here is how to perform a Fatal Blow, and how to defend against one. These days, some of the best video games are made by independent studios. Here are 25 of the best indie games, whether you prefer grueling dungeon crawlers or otherworldly, meditative adventures. A Slovakian retailer published a listing for The Last of Us Part 2, including a potential 2019 release date and box art. This leak comes shortly after an announcement that filming for the lead actors is complete. Posted 11 hours ago — By Charles Singletary Jr. Believe it or not, free-to-play games have evolved into engaging, enjoyable experiences. Here are a few of our favorites that you can play right now, including Warframe and the perennially popular League of Legends.